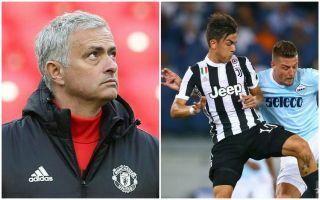 Manchester United’s hopes of securing the transfer of Paulo Dybala this January now look a little more in doubt as it seems his preferred destination is Real Madrid. The £100million-rated Juventus forward would be an ideal signing for United and the Daily Mirror recently claimed he could make his way to Old Trafford in a swap deal involving Paul Pogba. However, Don Balon now claim Dybala’s entourage have been contacting Real Madrid about a move this winter, with the Argentina international no longer looking a guaranteed starter in Turin. The Spanish outlet goes on to say that Real chief Florentino Perez has a long-time admiration of Dybala, though it’s not yet entirely clear if he’s a priority for this season. Madrid sold Cristiano Ronaldo this summer but still have the likes of Gareth Bale and Karim Benzema in fine form, whilst also re-signing the promising Mariano Diaz from Lyon. It’s not immediately obvious where Dybala would fit in alongside those three, but Don Balon suggest Los Blancos could review the situation in January and that he may even more for a little below the £100m price mentioned by the Mirror. From United’s point of view, they’ll hope they can still be in with a shot of landing the 24-year-old, who’d surely make an upgrade on the misfiring Alexis Sanchez in attack.